Custom Wavefront LASIK is a highly customized version of LASIK that not only corrects lower-order aberrations (nearsightedness, farsightedness, and astigmatism), but can also correct higher order aberrations such as halos, glare, and compromised night vision. Dr. Sonny Goel charges the same fee for every LASIK procedure he performs, so you can rest assured that when he assesses your candidacy for refractive surgery, he will only recommend the procedure he believes will provide you with the greatest benefits. He can answer all your questions about the cost of custom Wavefront LASIK during a consultation at our Baltimore, MD, office. ​​​​​​​Please contact us today to schedule your consultation. Our staff can also help you explore financing options to place the cost of refractive surgery comfortably within your budget. When considering any form of LASIK surgery, patients must look beyond the price tag to determine if other important criteria is in place to ensure long-term satisfaction with the procedure. ​​​​​​​Many patients have seen advertisements offering LASIK vision correction surgery at prices that seem too good to be true. As with many products and services, when it comes to refractive eye surgery, the amount of satisfaction you stand to achieve correlates with the price you pay. Many of the practices that offer bargain rates for surgery do not provide the ongoing care essential to a successful LASIK procedure. Others are advertising an incredibly low price as a simple bait-and-switch tactic. When it comes to your vision, you deserve the level of care that only an experienced, reputable ophthalmologist can provide. Dr. Goel is a board-certified ophthalmologist, and one of the most experienced LASIK surgeons in the state of Maryland. Since 1997, he has performed more than 70,000 laser vision correction procedures. He is also LASIK patient himself, and he knows how life-changing the procedure can be. The cost of custom Wavefront LASIK and other refractive surgeries can be considerable, but they can provide valuable long-term benefits - and savings. Following surgery, many patients can reduce or eliminate the need for corrective eyewear, resulting in savings on glasses, contact lenses, contact solution, and more. 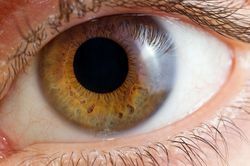 Meanwhile, LASIK patients are much less likely to suffer infections and other complications of improper contact lens use, reducing the risk of needing costly treatments. Many health insurance and vision insurance plans now offer partial coverage for LASIK procedures, and our staff can speak to your provider to determine what benefits you may be eligible to receive. Our practice offers a 15 percent discount for patients covered by Cole Vision, EyeMed, Davis Vision, Lifetime Fitness, and other specific providers. We also offer in-house financing plans with direct debit for qualified patients. Additionally, we are partnered with CareCredit℠ patient financing, a third-party company that offers programs for medical procedures with low interest rates and flexible repayment terms. If you would like to learn more about the cost of custom Wavefront LASIK or how it can improve your vision and quality of life, please contact our office today and schedule a consultation.